You will no doubt be greatly relieved to know that my two Great Aunts, Ethel and Nora, who lived in Norwood, South London, and who cached all this Crystal Set paraphernalia, were fully licensed. 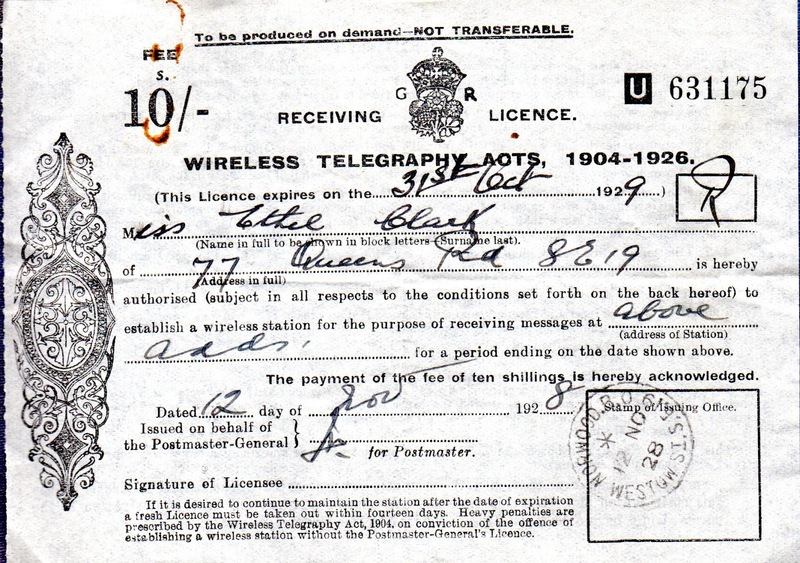 If you wanted to set up even a simple radio receiver to listen to the BBC in the 1920's you had to hold a valid licence. The annual charge for this was 10 Shillings (or 50p in new money). Although this sounds a trivial sum by today's standards, 10/- was quite a lot of money then, not just a coin, but a bank note. The paper these documents are printed on is very transparent - almost like tracing paper (or Izal toilet paper!). 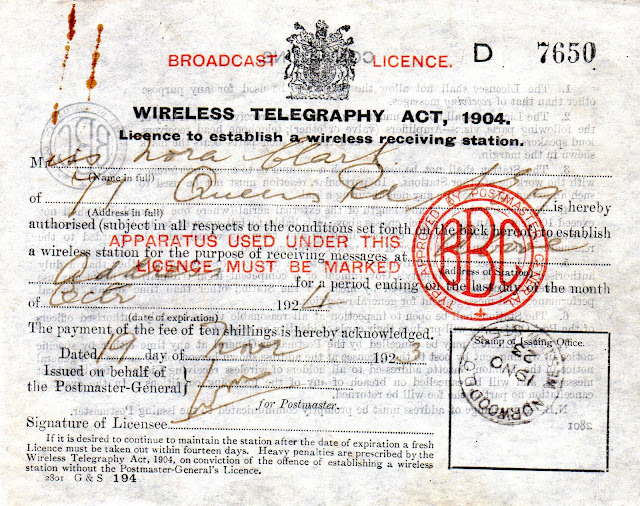 The conditions are printed on the back, and some of them read in much the same way as the UK Transmitting licence. 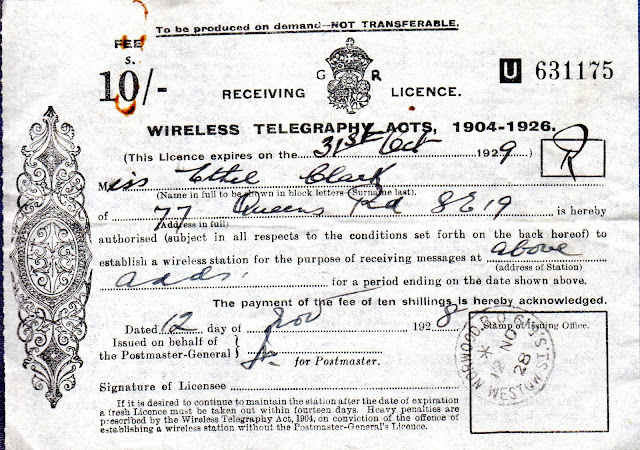 This licence ran for a year from November 1923 to October 1924. 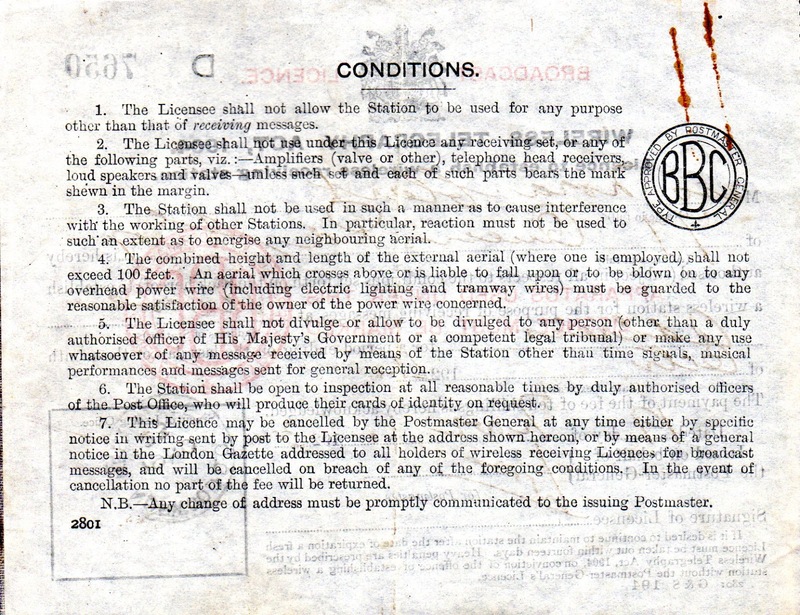 The design seems to have changed for subsequent years, here is one for 1928 - 9.